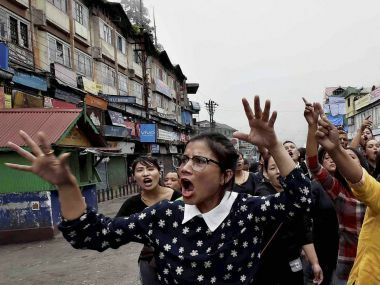 Darjeeling: In the violence-hit Darjeeling hills, a group of women chose to resort to Gandhigiri to carry forward the demand for a separate Gorkhaland. Carrying Indian flags and posters, the women organised rallies raising slogans, "We want Gorkhaland", 'Gandhi ke desh mein, Gandhigiri zindabad'. "We do not think violence is a solution or can serve any purpose. India got freedom from British rule due to non-violent movement and satyagraha of Mahatma Gandhi. We think if we want to get freedom from Bengal and want our own state, we also need to take the path of non-violence and satyagraha," Romita Rai, a member of this group, told PTI. "Every day we take out rallies. Neither do we use any provocative slogans nor resort to any kind of violence. 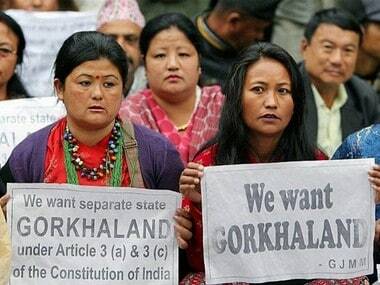 We give slogans demanding Gorkhaland. If we are stopped by the police, we sit on the road and demonstrate peacefully. We also have plans to organise token hunger strike in favour of Gorkhaland," Meena Gurung, another member of the group, said. The women have come together irrespective of party affiliation, religion and caste. 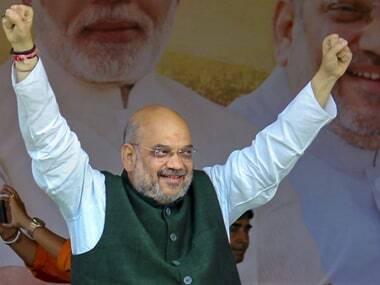 The group comprises women from political parties like GJM's Mahila Morcha, Gorkha National Liberation Front (GNLF), Akhil Bharatiya Gorkha League besides members of social organisations and NGOs. According to the members of this group, women power is most effective and attracts more media coverage as they are more vociferous in their demand. "Most of the women of our group are housewives and college girls, irrespective of age and religion. Even physically challenged persons are in this group", another member said. According to the members of this group, 'Gandhigiri' would also help to send out a message that Gorkhas are non-violent people who do not believe in violence, contrary to the propaganda by a section of the media covering the Darjeeling unrest. A section of the media is presenting a picture that " We (Gorkhas) are violent people who have resorted to arson and violence. But this is not true. We hope that our innovative ways of protesting would send out the real picture to the rest of the country," a member said.